Like in the case curbing of Karnataka illegal mining, SC today issued far reaching guidelines for mining industry in Goa. The judgment is delivered by the Forest Bench of the Supreme Court headed by Justice A. K. Patnaik and Justices Surinder Singh Nijjar and Fakkir Mohamed Ibrahim Kalifulla . The patterns in mining cases judgment suggest that these guidelines are going to be applied in the case illegal mining in many other states . The judgment has accepted many of the recommendations Justice Shah Commission . The Central Government appointed the Justice Shah Commission under Section 3 of the Commissions of Inquiry Act, 1952 by notification dated 22.11.2010. On the basis of findings in the report of the Justice Shah Commission on illegal mining in the State of Goa, the Goa Foundation has filed Writ Petition (C) 435 of 2012 as Public Interest Litigation praying for directions to the Union of India and the State of Goa to take steps for termination of the mining leases of lessees involved in mining in violation of the Forest (Conservation) Act, 1980, the Mines and Minerals (Regulation and Development)Act, 1957, the Mineral Concessions Rules, 1960, the Environment (Protection) Act, 1986, the Water (Prevention & Control of Pollution) Act, 1974 and the Air (Prevention and Control of Pollution) Act, 1981 as well as the Wild Life (Protection) Act, 1972. The Goa Foundation has prayed that a direction be issued to the respondents to prosecute all those who have committed offences under the different laws and are involved in the pilferage of State revenue through illegal mining activities in the State of Goa including the public servants who have aided and abetted the offences. The Goa Foundation has also sought for appointment of an independent authority with full powers to take control, supervise and regulate mining operations in the State of Goa and to ensure the implementation of the laws. Different mining lessees of the State of Goa and the Goa Mining Association also had filed Writ Petitions in the Bombay High Court, Goa Bench for a declaration that the report of the Shah Commission is illegal and for quashing the findings in the report of the Justice Shah Commission and also for quashing the order dated 10.9.2012 of the Government of Goa suspending mining operations in the State of Goa and the order dated 14.9.2012 of the Ministry of Environment and Forests, Government of India, directing that the Environmental Clearances granted to the mines in the State of Goa be kept in abeyance. These Writ Petitions have been transferred to Supreme Court to be heard along with Goa Foundation Writ Petition. What is significant in the present judgment, and the one which was not dealt with in the case of Karnataka mining issue is the concern expressed by the Court towards the cause of employees. The Court finds that on account of suspension of mining operations in the State of Goa, the workers who were employed by the lessees have not been paid their wages. Under Section 25C of the Industrial Disputes, Act, 1947, when a workman whose name is borne on the muster rolls of an industrial establishment and who has completed not less than one year of continuous service under an employer is laid-off, he is entitled to be paid by the employer for all the days which he is so laid-off, except for such weekly holidays as may intervene, compensation which shall be equal to 50% of the total of the basic wages and dearness allowance that would have been payable to him had he not been so laid-off. Following this principle of lay-off compensation, Court held that that workers who could not be paid wages by the lessees will have to be paid compensation at the rate of 50% of their basic wages and dearness allowance during the period of non-employment on account of suspension of mining operations. 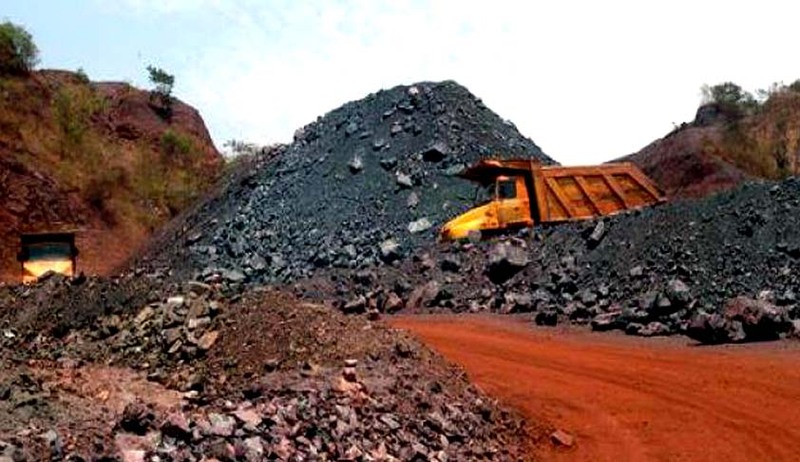 (ix) henceforth, the mining lessees of iron ore will have to pay 10% of the sale price of the iron ore sold by them to the Goan Iron Ore Permanent Fund.